When Jay Martin’s husband accepted a three-year diplomatic post in Poland, she left her own thriving career to join him. Her memoir opens a fascinating window on what it’s like to adapt in a country halfway around the world. 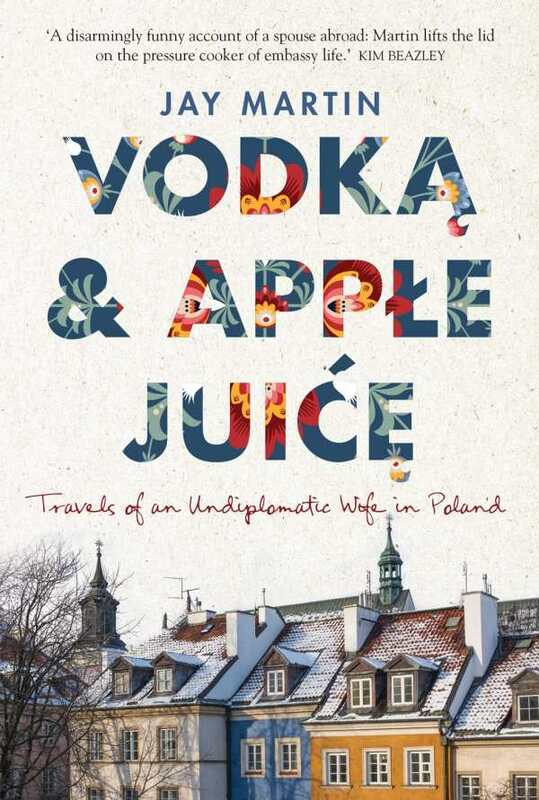 Humorous and graceful, Vodka and Apple Juice chronicles the Australian expat’s journey through Warsaw as a wife, traveler, and candid writer. Tasked with managing day-to-day details in Polish, Martin finds challenges and relief in being cast as an Australian foreigner. Eventually, she earns the satisfaction of mastering Polish well enough to make her way around. Small triumphs—from purchasing railway tickets to joining an international wives’ club—are narrated with good nature. Martin easily acknowledges the privileges that come with an embassy’s backing, including lavish invitations and a house cleaner, yet admits that the posting brings its own set of problems. Her marriage is strained by shifting roles, and the question of what to do with herself in an unfamiliar domestic sphere leads to feminist reflections. The temptation to fall into embassy life never lingers; Martin ventures beyond the safety of English-speaking circles. She writes for the Warsaw Insider. She volunteers. She takes on excursions throughout Eastern Europe. Her willingness to engage new cultures enriches the book. More than a collection of seasonal travel notes, the work becomes a lens through which to consider ideas of belonging and personal choices. The strongest anecdotes bring Poland’s character into sharp focus, neither over-singing its praises nor faulting its people for their quirks. Instead of viewing relationships as brief encounters that will end after her husband’s three-year assignment is done, Martin values her new friends. Her perspective is brave and inspiring. Vodka and Apple Juice depicts a woman’s search for identity with a winning mixture of pain and aplomb.